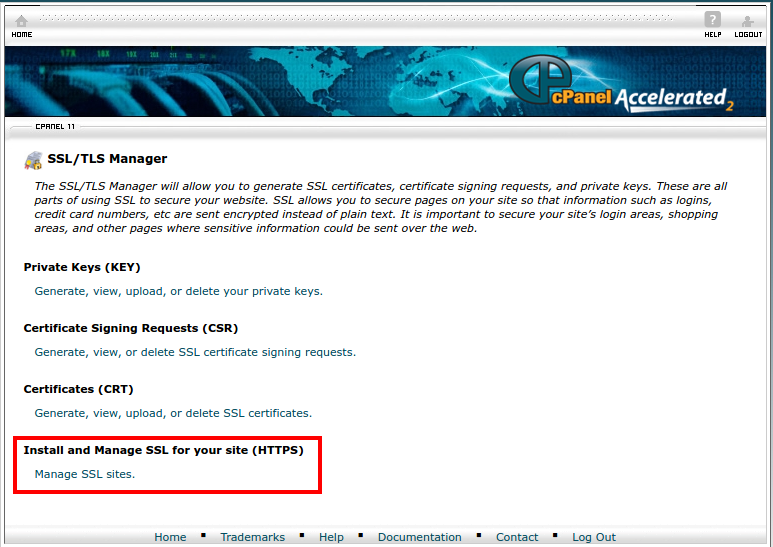 To manage SSL certificates for your domains, You should log in the cPanel interface, and navigate to "Security" tab, and click on "SSL/TLS manager" icon. 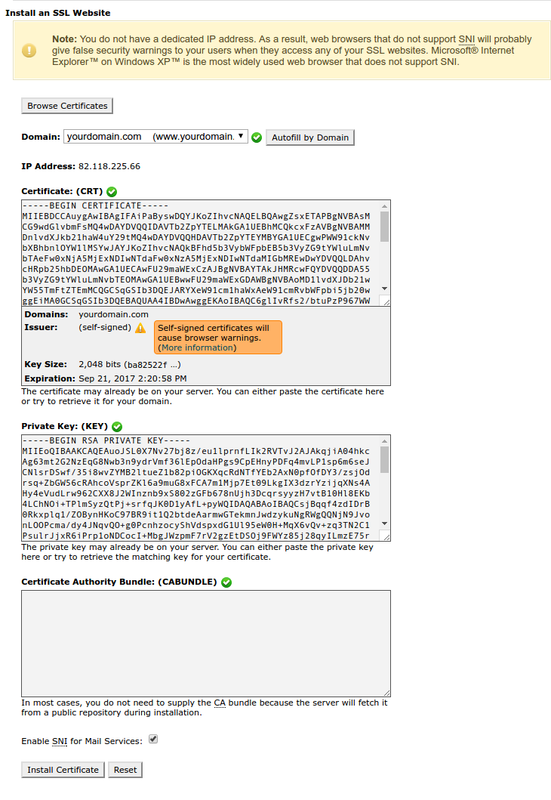 Then click on "Manage SSL Sites"
From the drop-down menu "Domains" select domain on which you want to install or modify a certificate. On the right of this menu, a new button labeled "autofill by domain" will appear. Pressing it will check if there are existing certificates matching your domain, and if there are, the system will fill in the data from them automatically. If You are using a self-signed certificate, the system will remind You that this will cause browser warnings because of the untrusted issuer. Press "Install Certificate" to complete this operation. Do you need reliable web hosting services? Choose from our variety of plans.